Courtesy of Marianne EvennouThe countertop and sink are tucked underneath the stairs. Paris is one of the most densely populated cities in the world, which often forces its inhabitants to think of creative ways to make a space both livable and affordable. 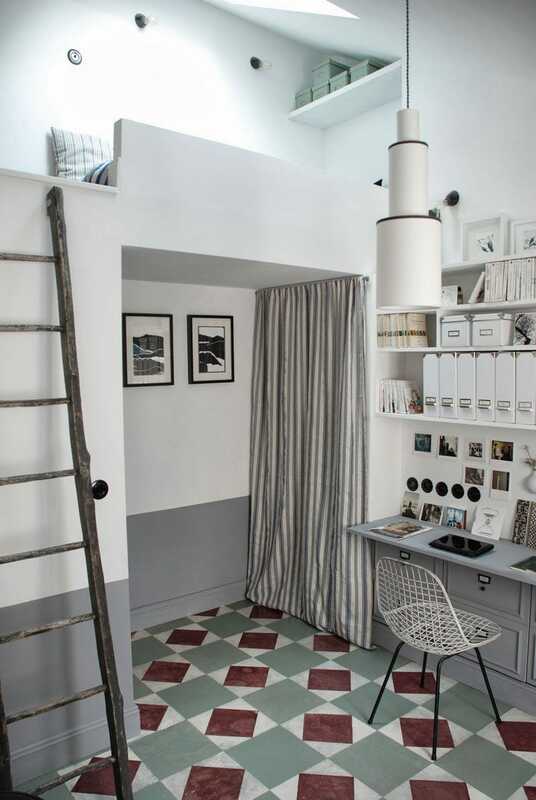 So when a client approached designer Marianne Evennou with the seemingly impossible task of transforming a 270-square-foot attic into a full scale apartment, she used her imagination. Evennou told Business Insider that her client wanted to be able to have many friends around a table, a nice kitchen, an office space to do work, cupboards to hide her things, and a mattress under a window to enjoy the light in the apartment — not a small request for such a diminutive space. As for the request for a window to enjoy the light — Evennou took out part of the ceiling and made a skylight. Courtesy of Marianne EvennouThere is even a clever storage space located above the bed to the right. 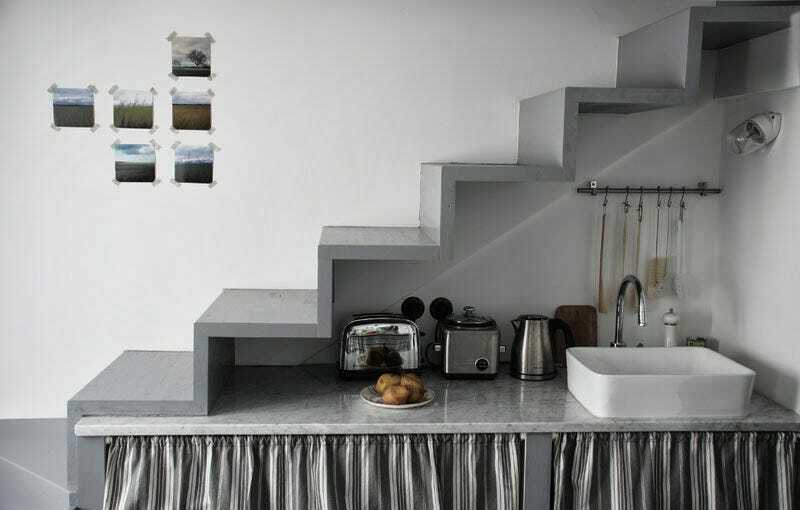 One of the client’s goals was to have a kitchen big enough for entertaining and cooking, which Evennou accomplished by lofting the beds above the kitchen and ingeniously putting the staircase above the counter. 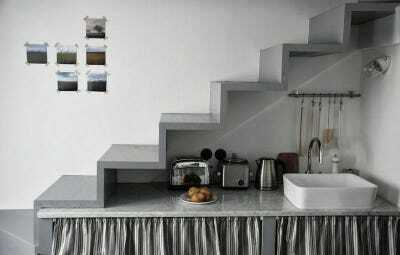 The staircase was the most difficult obstacle Evennou overcame in designing the apartment, she told Business Insider. It was very hard to organise the stairs underneath the beams in the attic. 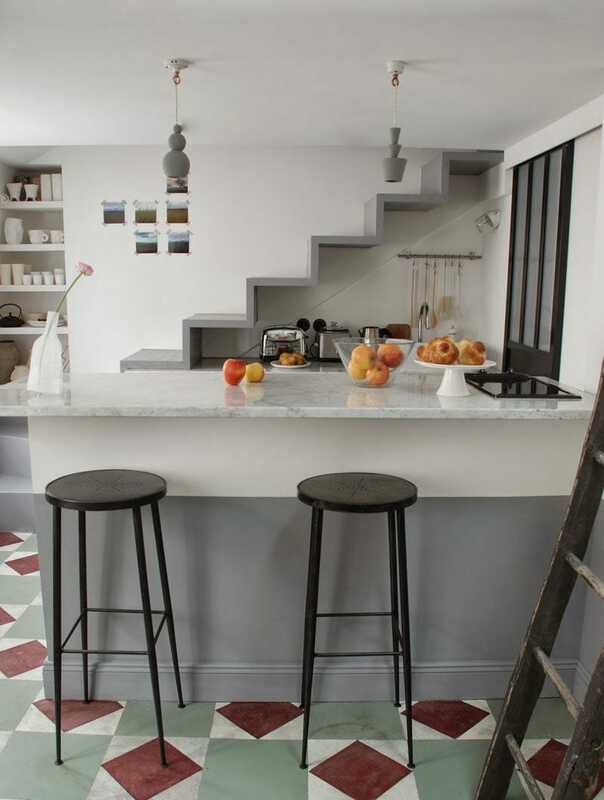 Courtesy of Marianne EvennouDid you spot the cupboard built into the back wall at first glance? The client wanted to be able to host overnight guests, and so Evennous lofted another bed above the kitchen. 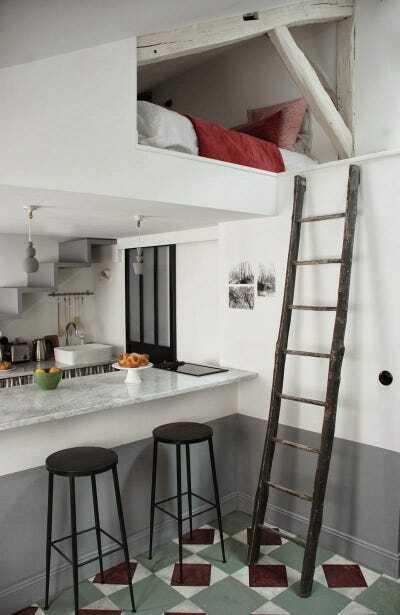 This bed is accessible by a ladder and the stairs behind the kitchen. 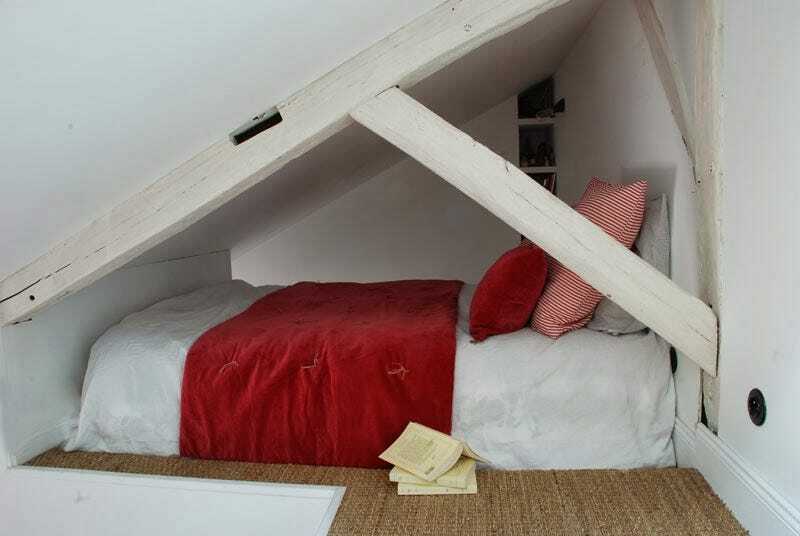 Courtesy of Marianne EvennouThe bed is accessible by either the ladder or the wooden staircase. Although it would be difficult not to hit your head in a space like that. Courtesy of Marianne EvennouThe lofted space has a hidden reading nook to the right. 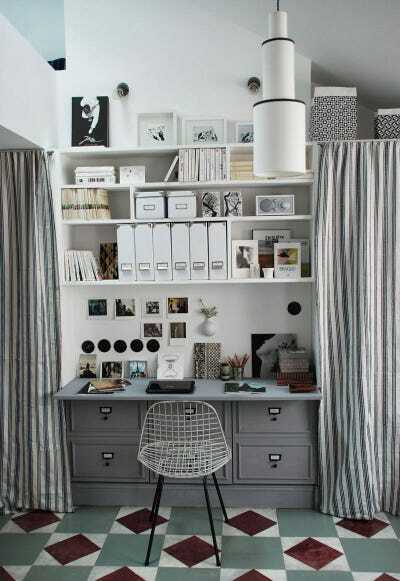 The home office has incredible storage systems. There is a library and two wardrobes hidden behind those curtains, plus more storage space above. Courtesy of Marianne EvennouSerious storage space. There was even space for a coffee table to entertain friends. 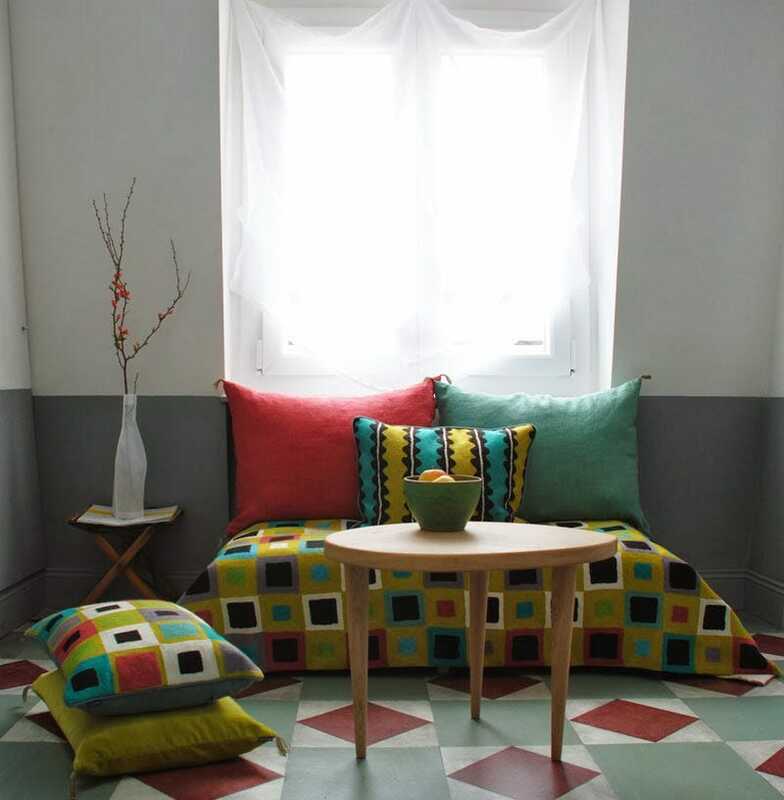 Courtesy of Marianne EvennouNot to mention, the beautiful hand-painted floor. For more information about the place, visit her blog here.